Fuchsia cordifolia. Just for a day. I know. I know. Fuchsia cordifolia Benth. 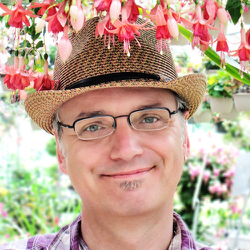 is really a synonym of ➤ Fuchsia splendens Zucc. A couple of botanists got their descriptions crossed and it’s always, “First come, first served”. But it’s the Feast of Saint Valentine today and the disused name of the old heart-leaf fuchsia deserves a nod and some validation again for this one day of the year at least. Happy Valentine’s Day everyone. Put that chocolate down! Dump the roses! Here’s a splendid Fuchsia cordifolia for your true love. 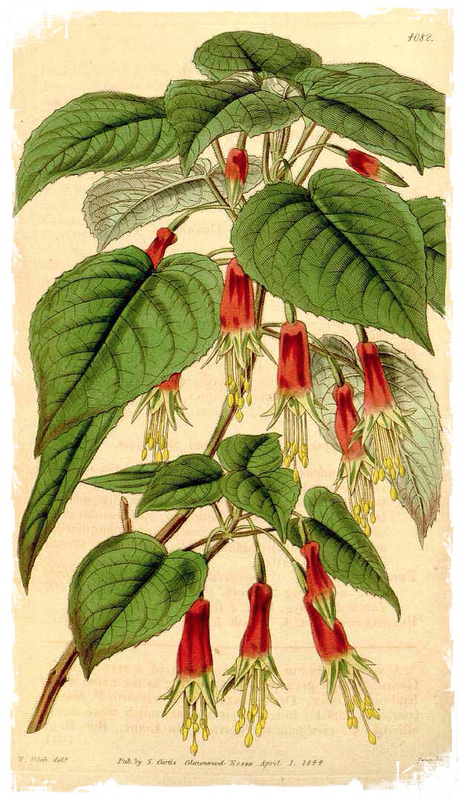 Fuchsia cordifolia... err... splendens, by the way, is native to Mexico and Costa Rica. If you’re off looking for it in the wild, it’s found scattered in a few moist forests in Guerrero and Oaxaca but is more common in cloud forest and moist oak-pine forest from Chiapas to Costa Rica at higher elevations from 2,400 to 3,400 meters (from about 7,900 to 11,000 feet). It’s got the widest range of the three species in the Ellobium section to which it belongs. Its two other companions in the section are F. decidua and F. fulgens. F. splendens flowers throughout the year and the plants show a pronounced variation in the length of the floral tube throughout the species’s native range. 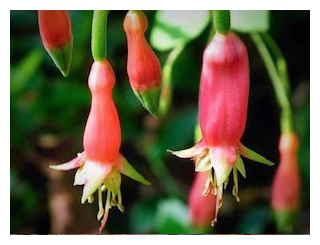 It’s also a fuchsia noted for its lovely green petals and the unique but odd lateral compression of the tube. The species is fairly common in cultivation and easy to grow so do give it try. The fruit’s also fairly large and, like all fuchsia berries, quite edible. And cute to boot. 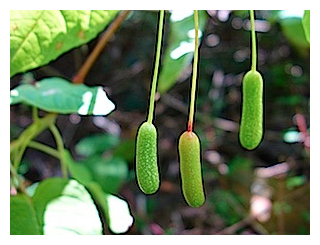 They always seem to remind me of little hanging cucumbers. So give them a try, as well, when they’re ripe. They’re lemony sweet-tart and considered by many aficionados to be among the tastiest of fuchsias. Hmm... I’m now also wondering how they’d taste covered in dark chocolate? Hey, it is Valentine’s, after all, and I guess there has to be some chocolate involved.